I wonder about collecting sheets of precancel or part of sheets. Is there any interest in collecting sheets and if so how do you value sheets? I enclose two pictures of sheets that I have but don�t now if I should keep them or sell them. There are many who collect whole sheets. The best way to store them is in a sheet book, which is essentially glassine pages that the whole sheet tucks into. Sheet values are a little tricky. They aren't listed in catalogs, generally you can "estimate" a sheet value based on the value of plate blocks. Just calculate the number of blocks in the sheet, and then multiply by the block value, and then add around %10 - %20 as a premium for the full sheet. This is a "rule of thumb", and how I tend to value sheets. 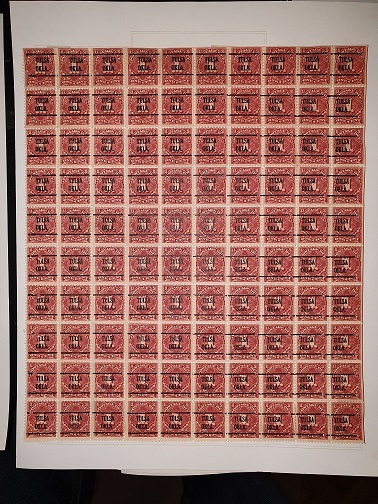 Or, if they are modern, you can take postage value (face value) as value of the sheet. Obviously collected as a set to clearly show that one has a normal precancel while the other shows a dramatic shift. Thanks for your reply. I probably keep them until I decide what to do. 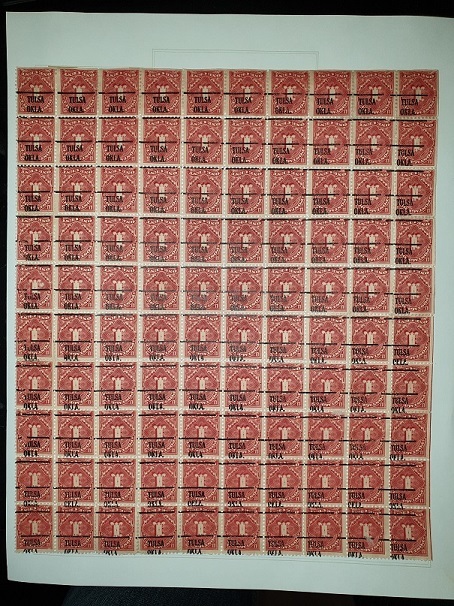 Technically these would be blocks of 100 as a sheet collector would want the selvedge present with the plate number and imprint. Still, they would be of interest to precancel collectors who often like multiples.